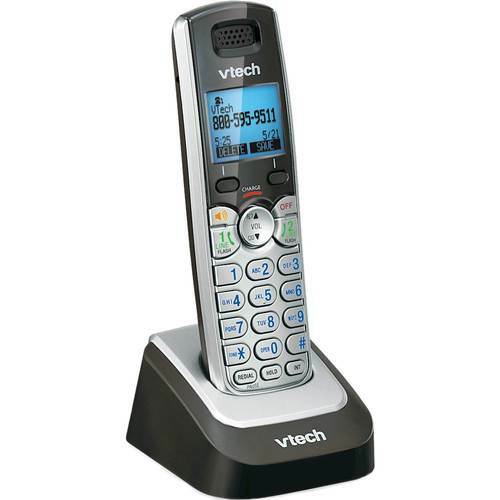 FeaturesExpansion handset and cradle For use with VTech CS5119 and CS5129 series expandable phone systems. Will not function as a stand-alone phone. Easy-to-read display screen Provides a clear view of information. Oversize buttons enable easy dialing. Talking digits simplify operation. Call waiting/caller ID Displays the name and number of incoming calls for convenient callback. Voice Announce Caller ID sounds out the names of your callers through the speakerphone. 50 name-and-number phone book Stores contact information for your most frequently called friends and family members. 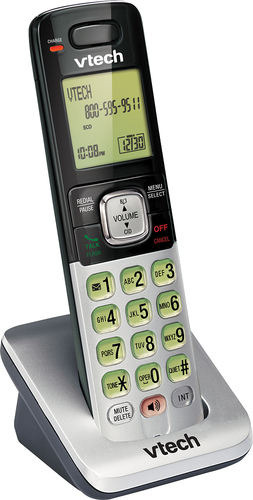 Speakerphone Enables simple hands-free conversations. Conference enabled For communication between an outside line and up to 4 cordless handsets/pendants (not included). Intercom functionality lets you relay messages between handsets. Last-10-number redial Makes it easy to call back frequently dialed numbers. Quiet Mode Silences the ringers to suit your preferences. ECO Mode helps conserve power. Low-battery indicator Notifies you when the battery needs to be recharged.